AquaMaster® is recognized as a premier manufacturer and industry leader in dependable lake fountains and pond aerators. AquaMaster fountains and aerators are designed and built to be the highest quality equipment for the care and improvement of ponds, lakes, or other aquatic environments. Ranging from ½ to 25 HP in size with over 30 different spray patterns (nozzles), Black Lagoon offers a wide range of AquaMaster water fountains and pond aeration systems for your unique needs. Master the Power and Beauty of Water! AquaMaster® fountains from the AquaMaster Masters Series, Decorative Series, and Celestial Series come in a variety of spray patterns and are designed for optimum pond aeration. AquaMaster fountains can be fit with colorful RGBW LED Night Glow lighting to create a dramatic statement piece when the sun goes down. Black Lagoon also offers AquaMaster AquaAir® Ultra, which provides ponds and lakes with superior aeration, circulation, and destratification. Aeration is a natural, environmentally-safe and highly effective water quality management tool that addresses a wide range of water quality problems, including algae build-up, aquatic weeds, bottom sludge, foul odors, insect infestation, and stagnation in lakes and ponds. In today's environmentally conscious world, successful aquatic managers are making aeration equipment the foundation of their pond management programs. Their goal is to increase the dissolved oxygen level, which stimulates the natural cleanup process, resulting in a visually pleasing and healthy body of water. 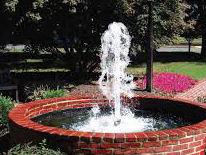 This can easily be achieved with an AquaMaster® fountain or aerator. Looking for a smaller "plug and play" solution to convert a pool or basin into a water feature? Check out the AquaMaster Fixed Base Fountain Series.